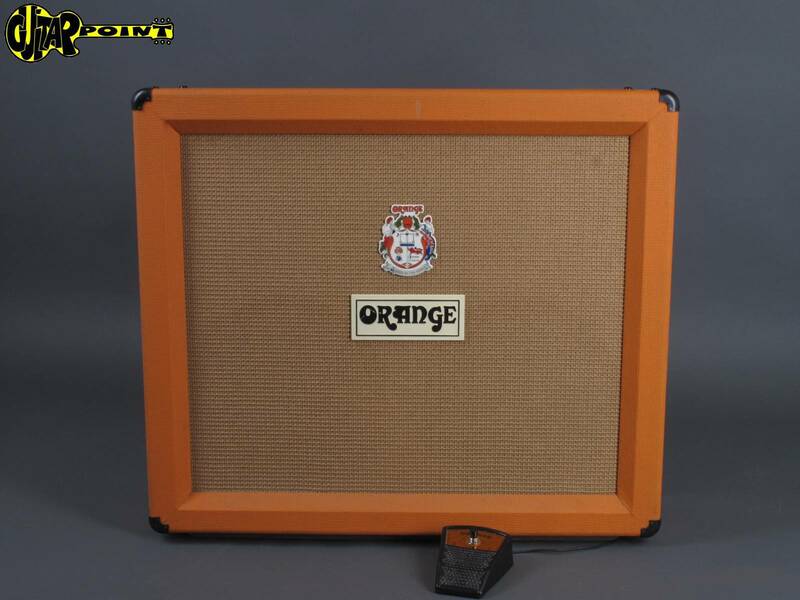 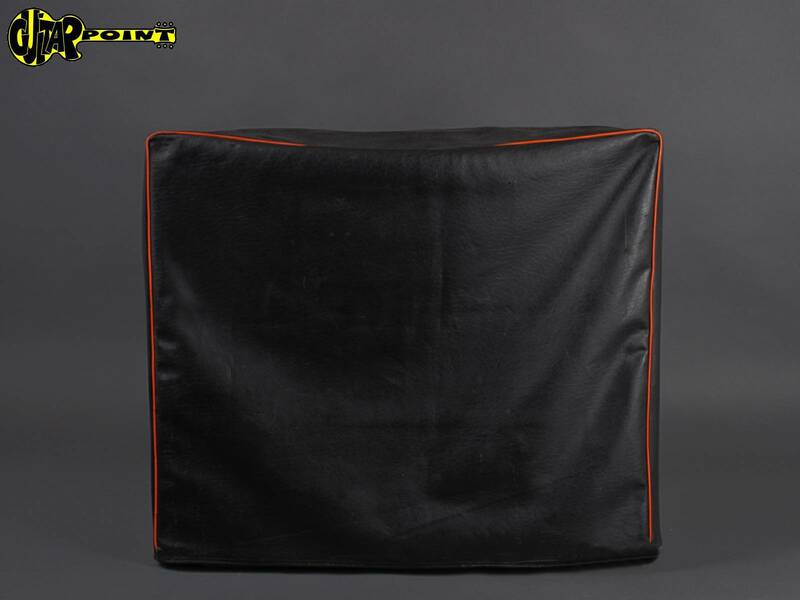 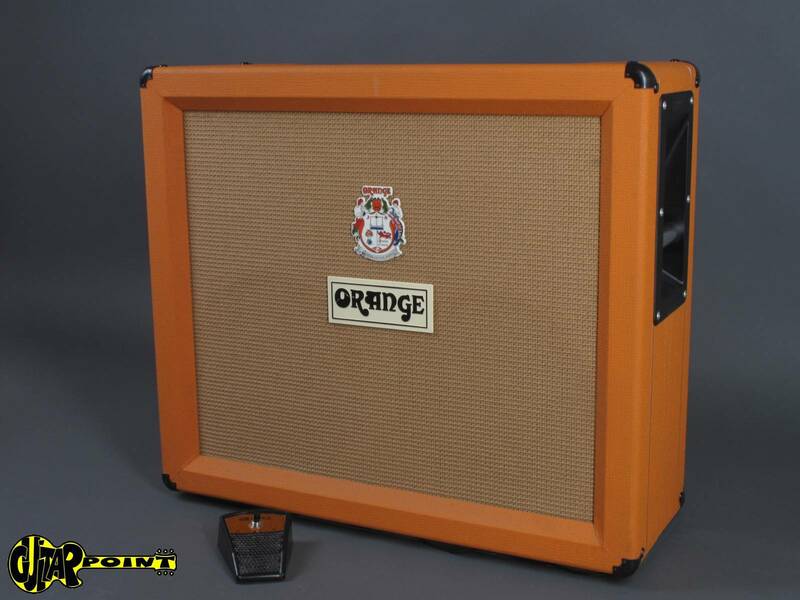 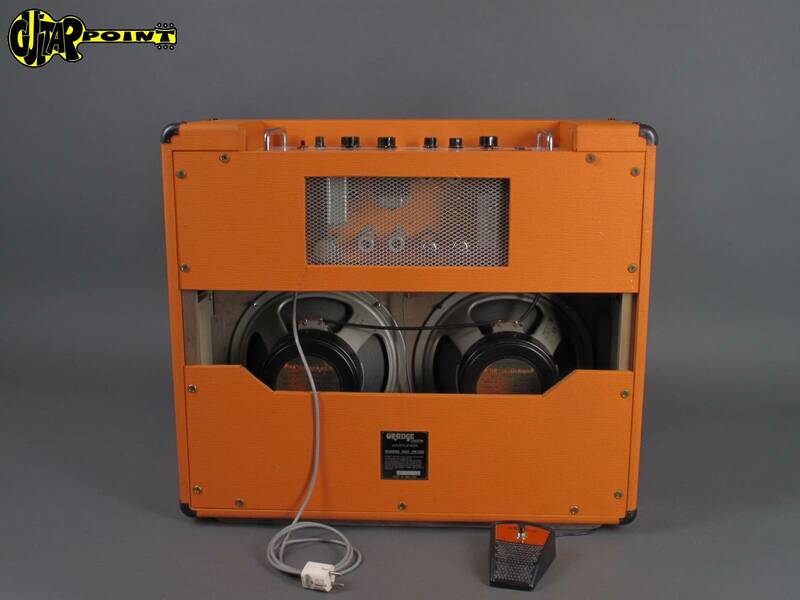 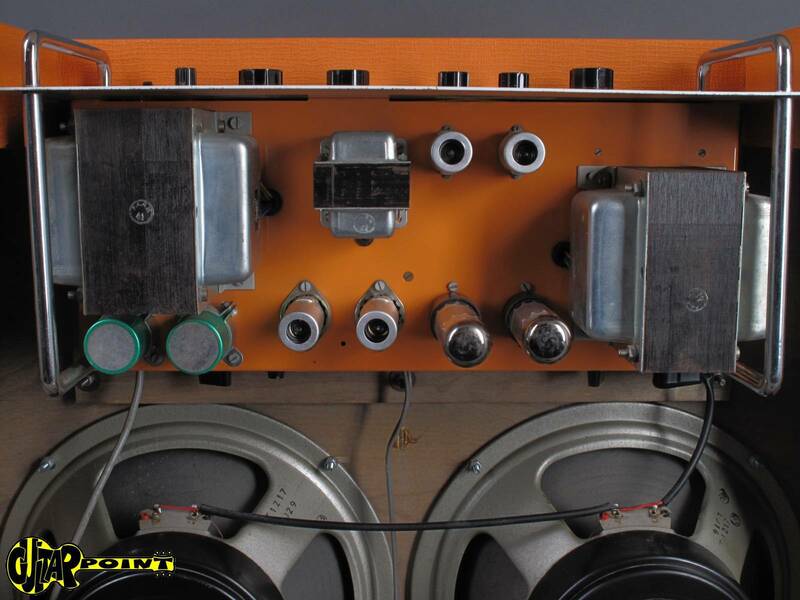 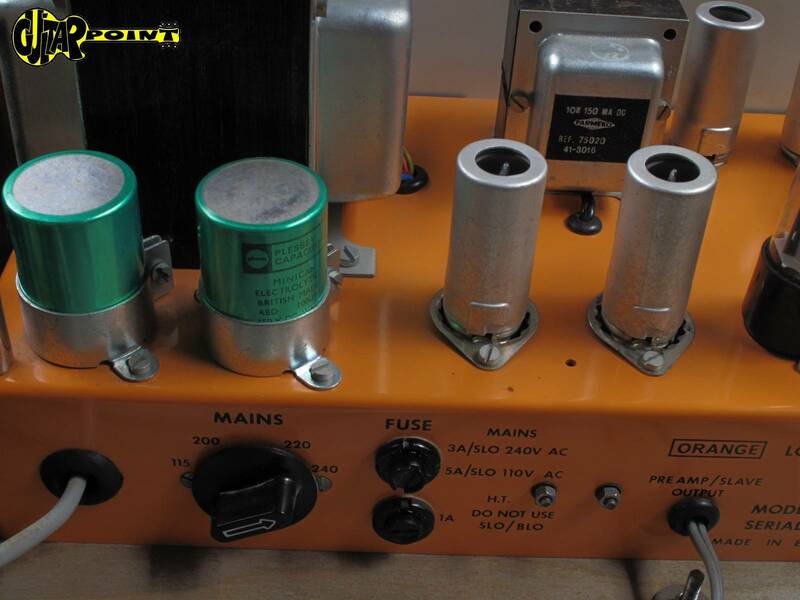 Here we have a 1976 Orange OR 80 R / 2x12" Combo alltube guitar amplifier in all original and near mint condition, ...have you ever seen a cleaner one? 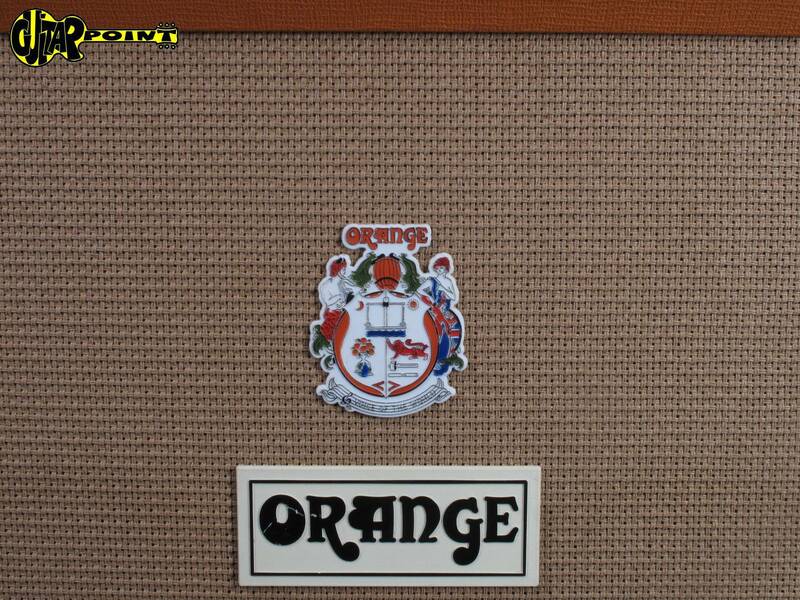 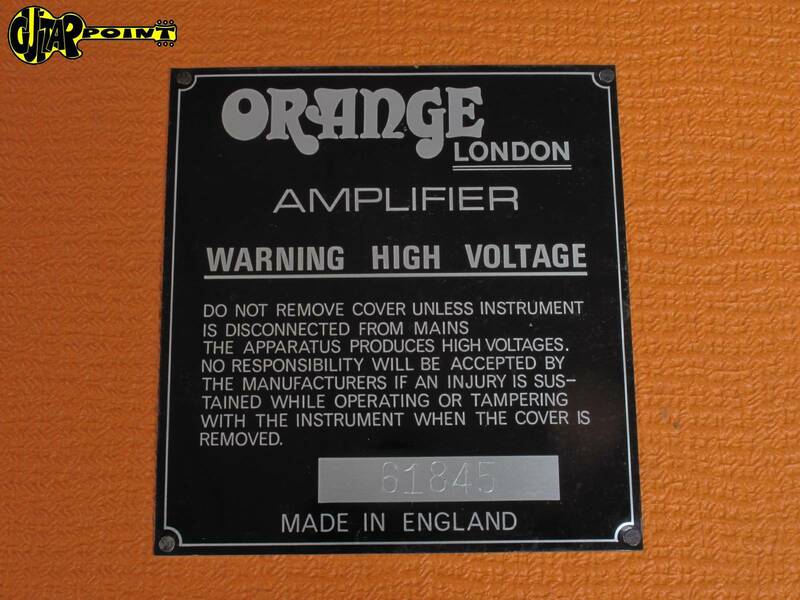 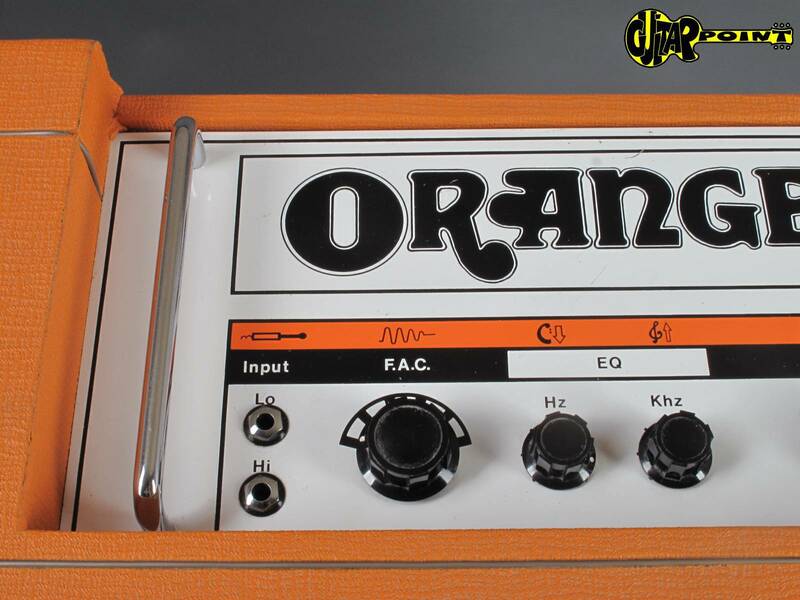 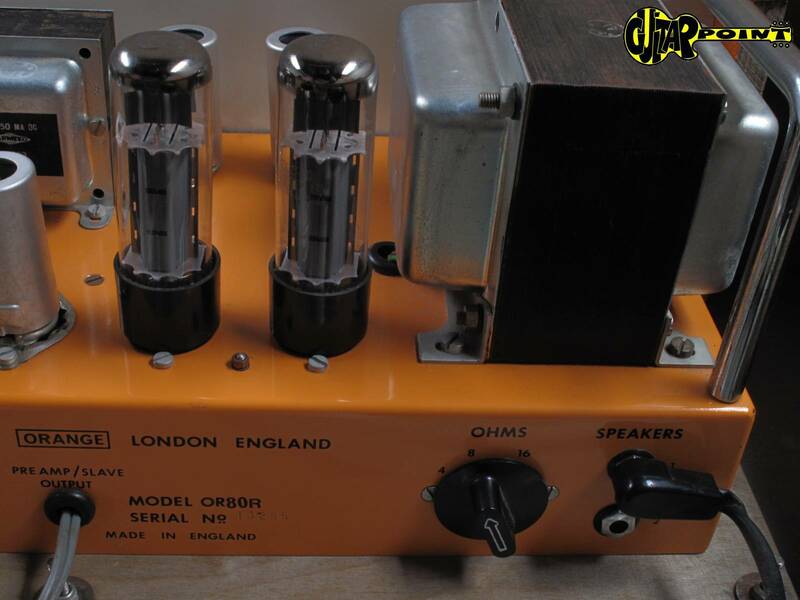 Orange has built many guitar amplifiers in the heyday of Rock&Roll in the 70s and they where considered an "upmarket" Marshall and sold for more money. 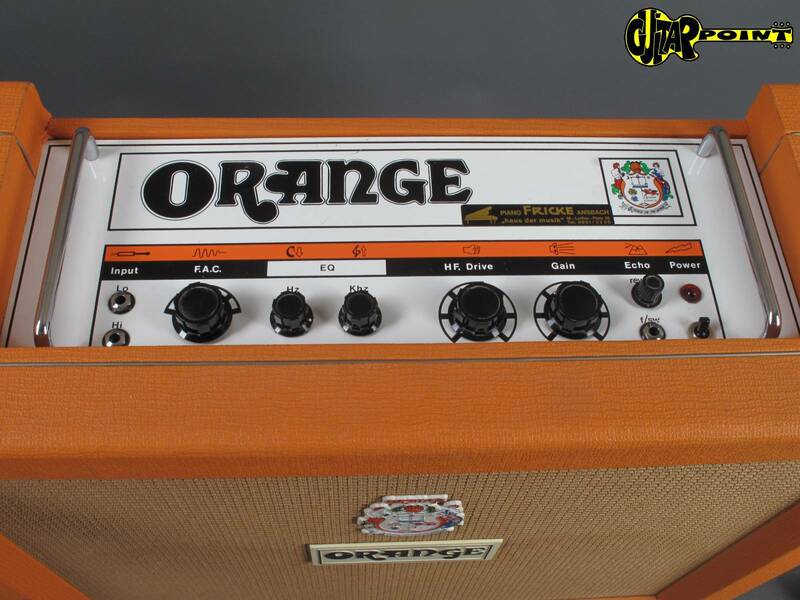 Built like a tank and very unique, nice and loud cleansounds. 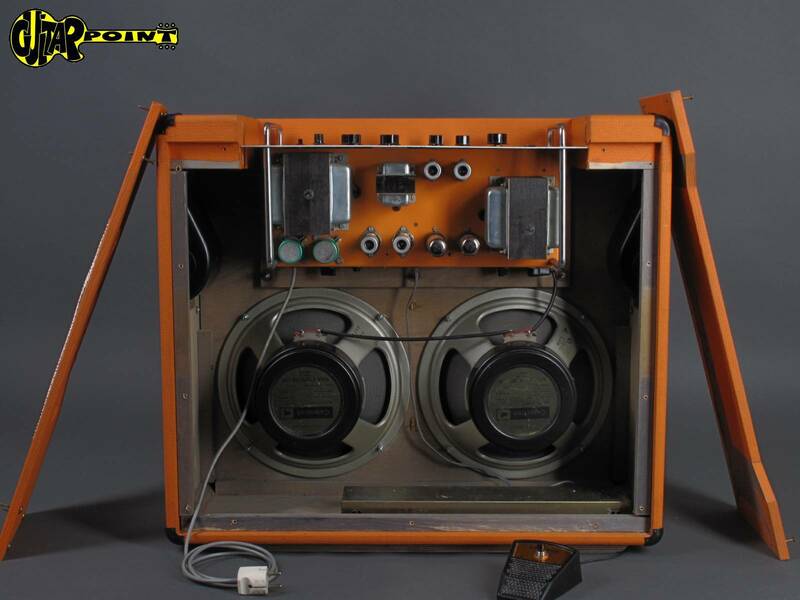 2x EL34 powertubes and 2x ECC83 preamp tubes, two inputs (high and low), Reverb, Gain-/Master controls, 2x Celestion 12" G12H/30Watt "Black-back" speakers, orange vinyl covering. 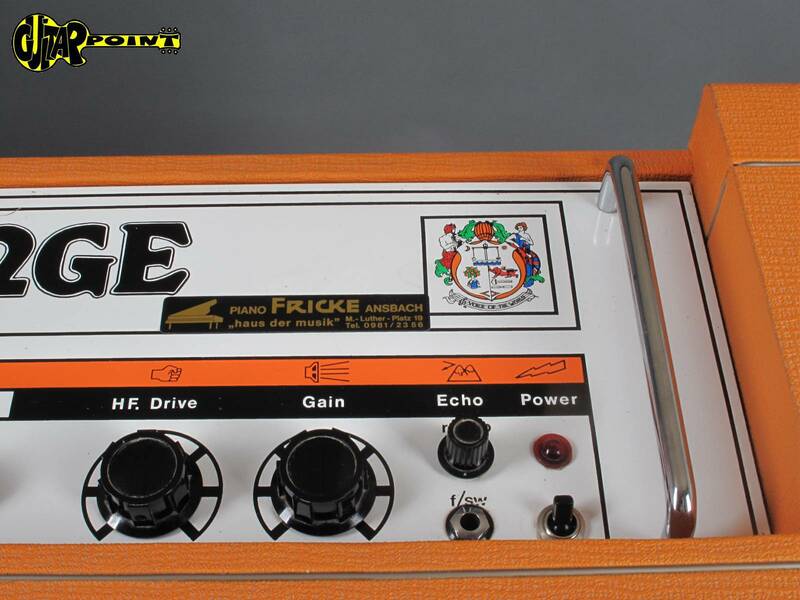 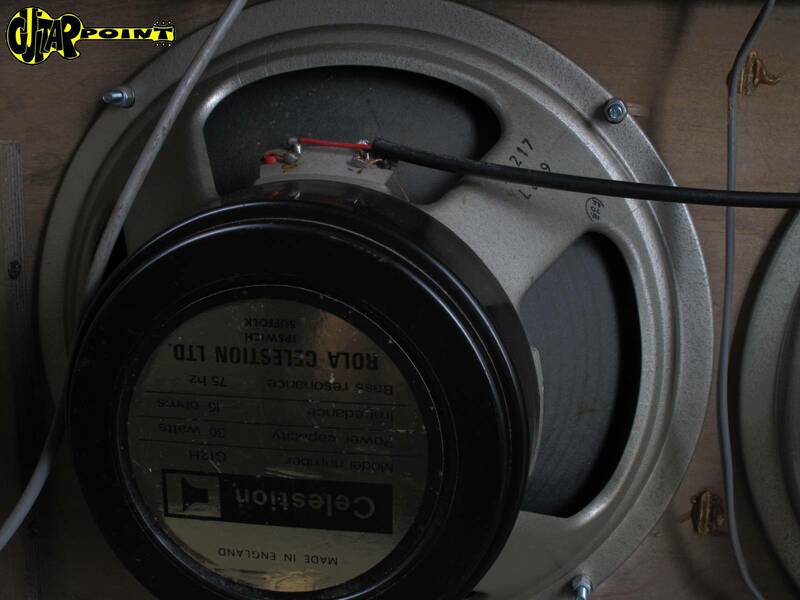 Great classic rock-amp! 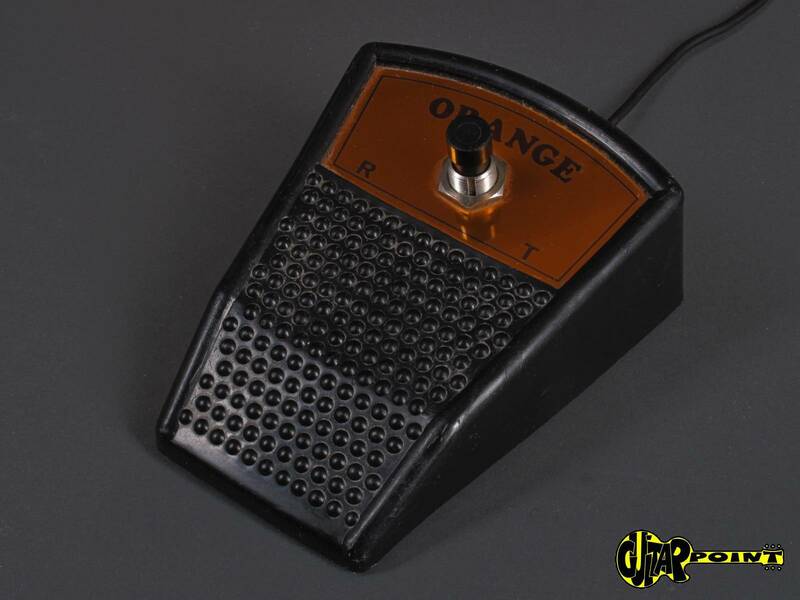 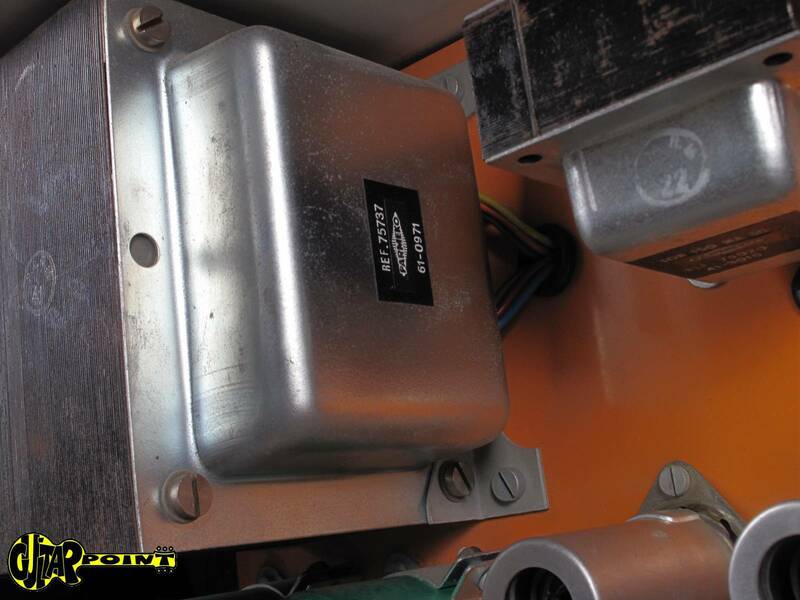 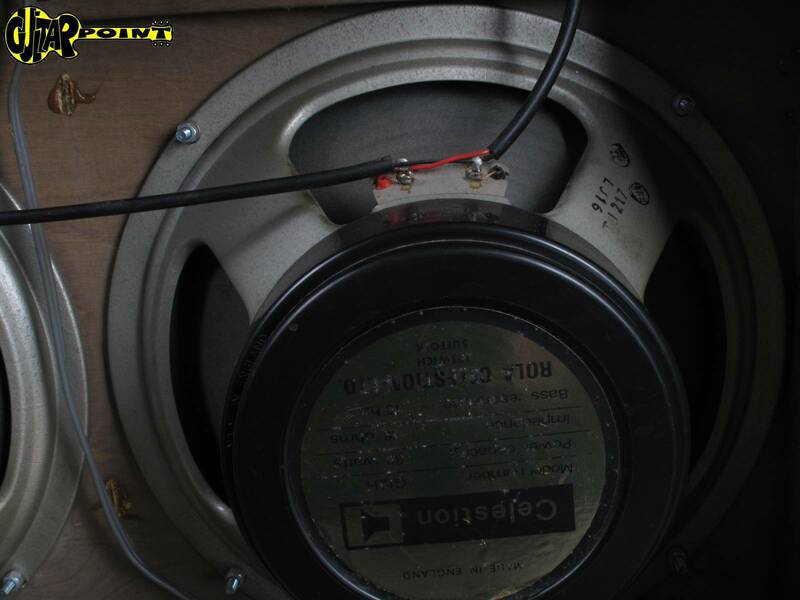 Comes with dustcover and original footswitch.